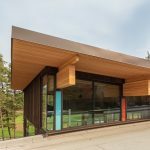 The new Community Hall and Library in the village of Radium Hot Springs, located next to Kootenay National Park in BC, opened in August. 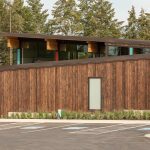 It is one of the first public buildings in Canada to be constructed with dowel-laminated timber (DLT) panels. 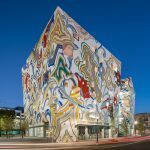 The 8,000-sq.ft. 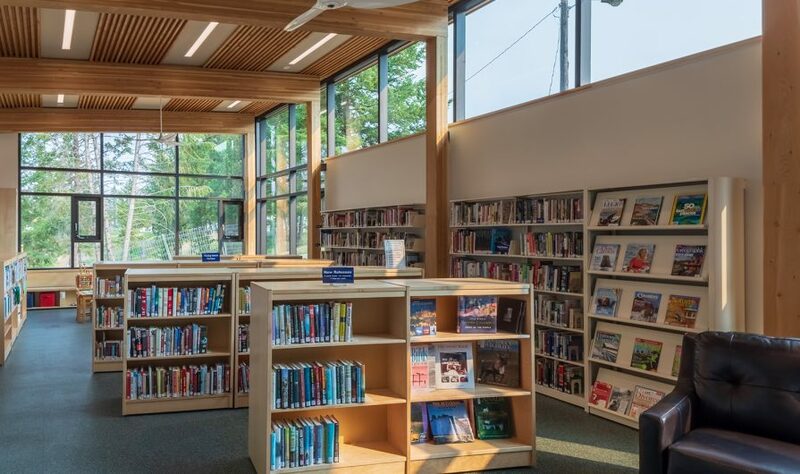 facility containing a hall, meeting room, servery and library, is the community’s home, and is located in the center of the village overlooking Legends Park. All village events can be held within the hall, such as weddings, leisure classes, children’s day camps, movie nights, and reunions. 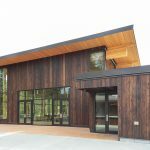 The project was conceived in a unique stakeholder engagement process, designed to fulfill the province’s “Wood First” policy. 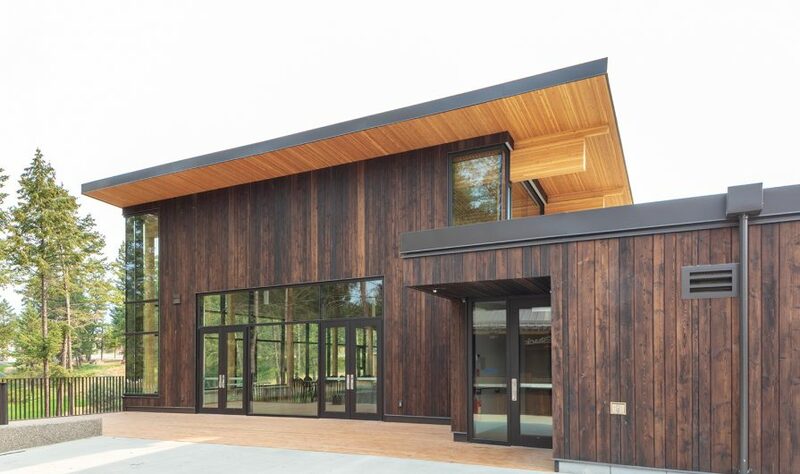 The project goal was to create a “100-mile building”, maximizing the use of local resources, particularly wood. At the outset of the project, the design team met with local wood industry representatives to assess the material, skills, talent, and labor available locally. 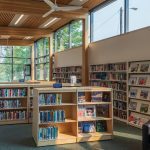 As the design was developed, the tender documents were structured to accommodate a variety of local solutions from glulam to LVL to DLT. The DLT panels were prefabricated off-site in Golden, BC – 37 miles north of Radium and transported to Radium in a choreographed sequence to maximize installation efficiency. The team designed a modular DLT system that integrates lighting, acoustics and services with the DLT panels. 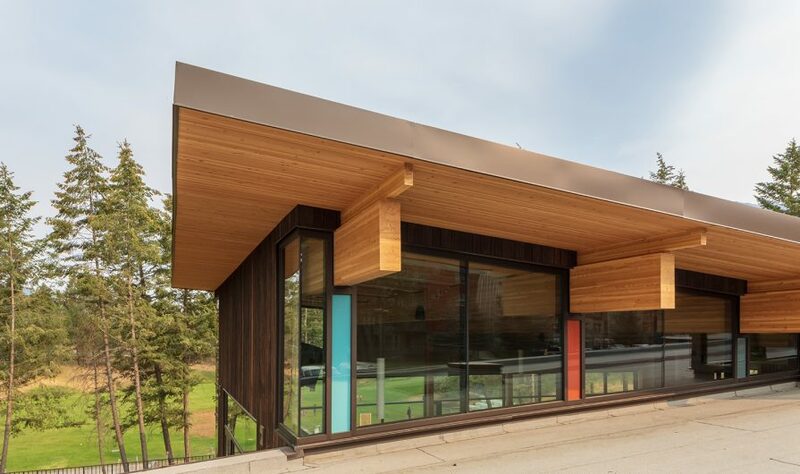 The panels span the glulam beams and are bridged by the plywood deck. The prefabricated DLT panels were constructed from 2 x 4 and 2 x 6 dimensional lumber and fastened with beech dowels. Alternating 2 x 4 and 2 x 6 timber creates a variegated texture. 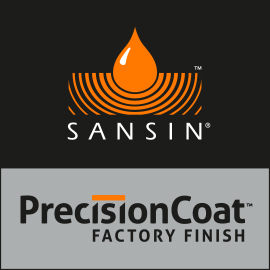 No adhesives were used in the fabrication and the panels are sealed with a clear protective coating. 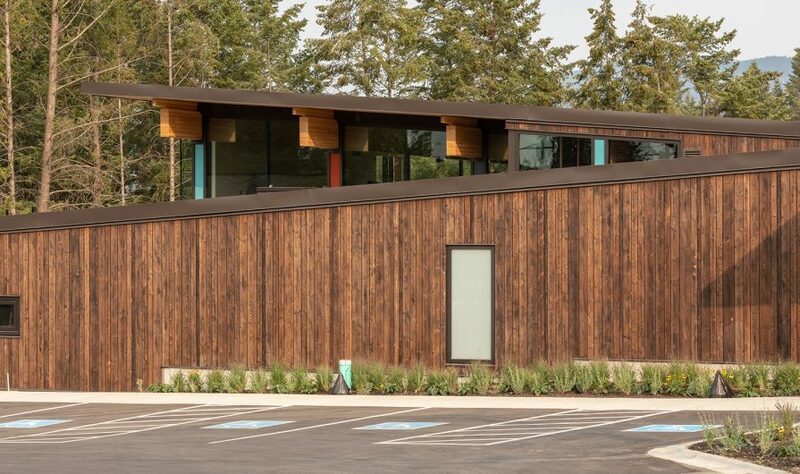 The exterior of the building is clad in charred wood siding, manufactured five miles from the site. An auger system was custom-built to allow for a controlled charring of the timber. 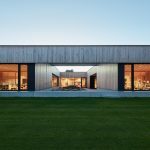 Inspiration was drawn from the intriguing site, which is perched on the edge of a natural kettle hole lined with pine trees, a microcosm of the surrounding valley. The low, sloped forms frame the views of mountains to the east and highlight the silhouettes of pine trees. An entry plaza lined with wood benches was inspired by the paint pots in nearby Kootenay National Park. The interior spaces are defined by the DLT ceilings. Wood screens filter the views from the ramped corridor into the hall enhancing the height of the space and referencing the pine forests beyond. 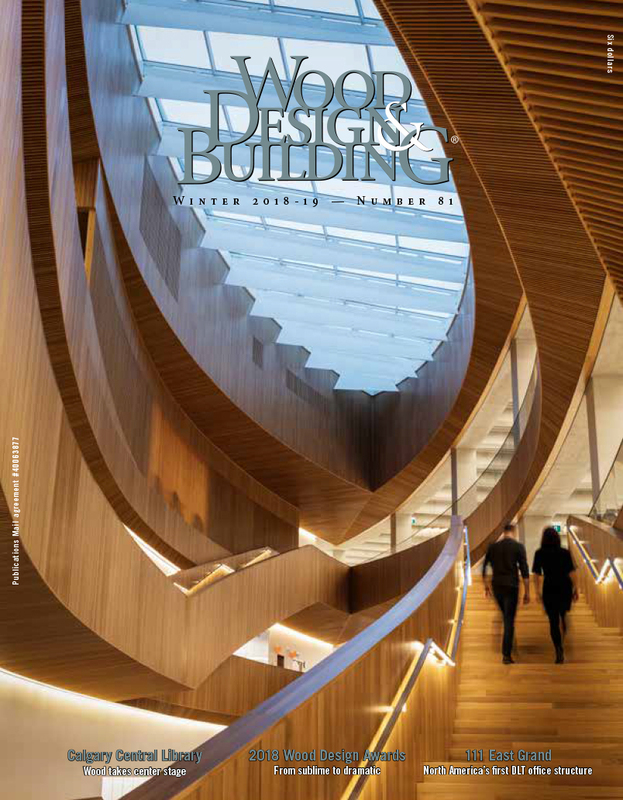 DLT – International Timberframes Inc.